As an occasional video editor, I came to a point where I needed a close-to-the-cutting-edge PC that will handle my video editing needs without spending more than $2,500 CDN. My editing hobby goes way back in the 80's and 90's when there were no consumer NLE's available yet. I used to have 2 VHS VCRs to joggle with VHS cassette tapes and an Amiga Computer to do the graphics and character generation. Video editing back then was a pain for me. I then moved to an Intel Pentium III 500 Mhz PC with Pinnacle DV500 using Adobe Premier Pro and was fascinated with what it can do. Today, with all the HD and 4K content I have accumulated, I needed a powerful computer that can handle editing and rendering HD and 4K videos with complex filters and effects easily. 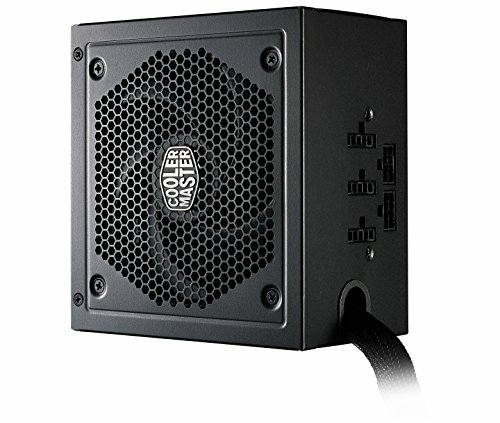 So I decided to build myself a powerful video editing computer that should not cost me more than $2,500 CDN for the PC alone despite the fact that at the time of this writing, bitcoin miners have driven up the cost of high-end graphics cards and RAM. So here is my completed build. I chose AMD Ryzen 7 2700X as my CPU since I wanted the overclocking-like features of the CPU without me doing the overclocking. At one point I had my eyes on the AMD Threadripper for its high core count but it was just way over my budget. For the motherboard, my first choice was AORUS Gaming 7 but I settled for the Gaming 5 just because of the price and I don't have to sacrifice the WiFi feature. For the RAM, I just picked the cheapest 3200 Mhz DDR4 32 GB RAM which happens to be G.Skill Ripjaws V at the time of this writing. I also wanted to have a fast main drive so I opted for the Samsung 960 EVO 500GB SSD M.2 Drive. I know some of you might say that would be overkill. I wanted to have a GTX 1080 Video Card, so I picked the Gigabyte GeForce GTX 1080 Windforce OC. It was not the cheapest although I think I got a good deal. The cheapest 1080 Video Card I found at the time when I was researching for parts was the EVGA GTX 1080 FTW but there were bad reviews about it catching on fire so I did not go for the EVGA FTW. 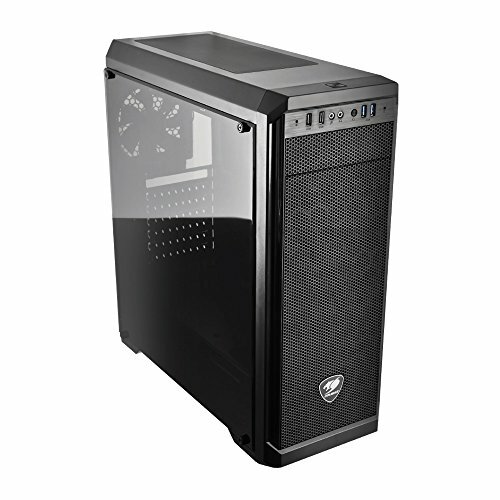 When it came to PC cases, I was attracted to the simplicity and price of the Cougar MX330 Mid Tower Case. It may not be too fancy in its looks but at least it is functional and you can still showcase the RGB innards of your PC. The rest of the parts such as the BluRay Writer, additional Hard Drive, and Power Supply were chosen based on their low price. All parts were purchased at Canada Computers except for two which are the M.2 SSD Drive and the Power Supply Unit as they were out of stock at the time I purchased all the parts. So I've finally completed my build and I've learned a lot in my experience. The highest Cinebench score I got with my build is 1784. No CPU overclocking. I'm using the AMD stock CPU cooler for Ryzen 7 2700X. RAM is running at 2933 Mhz. I initially was aiming for the Gigabyte X470 Aorus Gaming 7 WiFi but settled for the Gaming 5 instead to keep the total cost of my build under $2500 CDN. Overall I liked this MoBo as it also has RGB. It's just too bad that the RAM slots don't have RGB (Gaming 7 does). I suppose that's OK had I bought the more expensive RGB RAM. The motherboard has a lot of Fan connectors, and supports upto 3200 MHz DDR4 RAM, and lots of other neat stuff. Pretty decent, fast RAM. I had no troubles with it initially. It worked well with my motherboard and CPU. It was supposed to be the cheapest RAM I could find in its class but the price is still quite high since I wanted 32GB and 3200MHz since my motherboard supports 3200 MHz RAM. I suppose I should have settled for 3000MHz. I did not give it full 5 stars because of my recent experience. After finishing my build I set the BIOS to use Profile1 in the XMP setting to take advantage of the 3200Mhz speed. 3 weeks later my PC won't boot up and the red Status LEDs on the mother board had the CPU on, and the DRAM LED blinking every 5 seconds. It looked like the motherboard couldn't get past the DRAM stage. My PC just wouldn't post. I tried removing the RAM, putting it in different slots, using one stick, etc. but none worked. I even reworked all the cables, unplugging and re-plugging them. I also cleared the CMOS and removed the battery. But still no go. I couldn't figure out if it was the motherboard, power supply or really the CPU. I got so frustrated because no matter what I did, and it seems I already did everything but disassemble/reassemble my entire build, and still nothing else worked! After 2 days of not being able to use my PC I decided to give it one more try before totally giving up. I removed all the 2 RAM sticks and just put 1 stick to the slot closest to the CPU. I then cleared the CMOS. Then on the PC case I pressed the Power and Reset button for at least 5 seconds and said a little prayer. After releasing the buttons, my PC booted! Hooray! From that time one I never used XMP (Extended Memory Profile) in my BIOS. I just used the default setting. So sad I may not be able to take advantage of the 3200Mhz clock speed of the RAM after all. Update: I just found out that this RAM is not the optimal memory for my CPU (AMD Ryzen 7 2700X) and MoBo combination. For AMD Ryzen 7 CPU and Gigabyte X470 Aorus Gaming 5 motherboard, the most compatible RAM in the G.Skill brand would be the Flare X (more expensive). So that explains my experience with this RAM and why I am only getting 2133 Mhz no matter what settings I do in the BIOS. I guess paying for the 3200 Mhz was a waste. I should have bought the G.Skill Flare X 3200 Mhz instead to really experience the 3200 Mhz. Update (06-27-2108): Did some reading on overclocking RAM and did some tweaking in my BIOS and I finally got a better speed. The best I could get from my setup is 2666 Mhz. Anything higher doesn't stick. Update (07-13-2018): I updated my BIOS from F1 to F2. I turned off XMP Profile 1. Using the Easy Tune App that came with my motherboard I just set the RAM Clock speed to 3000 MHz and it worked fine. I did not do any other special tweaking. My RAM is now running at 2933 MHz! Sometimes the simplest tweaking works. Excellent piece of storage hardware. Can't say anything more. It's obviously a really fast data storage. Quite expensive though. I had no issues with it. Works as expected! Great price! It's an excellent graphics card in terms of what it can do. It's fast! Just tried the latest free version of Unreal Tournament and maxed out all settings at 2560 x1080 (Ultrawide) and it worked well without even breaking a sweat. I suppose I should test it with other games that are more graphic intensive. I normally see 2 fans on both ends spinning slowly but not the middle one. However, when I get the middle fan to spin by doing extensive stuff, I noticed that there is a slight wobble. I've not heard any coil whine as of yet. It seem to be a pretty solid and quiet card for the price I bought it. Although I noticed that the plastic case around it is quite flimsy and bends a bit when handled. However the back plate is pretty sturdy. I just wished I had picked a card that has RGB. I have set this card to run in Overclock mode (1798 MHz GPU Clock) and it can still manage itself to keep cool. I highly recommend this video card. It's a really good pc case. Ventilation is excellent (Front, Back, Top, Bottom). It features a power supply shroud, neat cable management, hidden hard drives, 4 USB connectors in the front, and allows for a 5.25" Optical Drive to be installed. You can install 2 120mm fans on the front if installed behind the inner grill. However, if you plan to install fans in front of the inner grill, you can only install 1 120mm fan, just because of how the screw holes are oriented/elevated. But you can still forcibly install 2 120mm fans on the front outside the inner grill. Cougar should make those holes oriented so that you can install 2 fans on either side of the grill. When I removed the plastic from the decal, some of the paint came off, ruining the decal. No big deal for me, I just used black marker to touch it up. No issues with it so far. It works as expected. It's a great Bluray/DVD/CD writer. I bought it because of its low price. I was surprised that it performed so well! I've burned about 10 Bluray discs already and I encountered no issues at all. All my writes were perfect! It's a pretty fast writer too. I've also used it to write DVDs. Works great as well! This can also write on LTH Bluray Discs, which are the cheaper, more affordable Bluray discs. Just take note that some Bluray players are unable to read LTH Bluray discs. This optical drive is also a quiet drive. I noticed that the noise it generates is coming from the discs being used. Some discs seem to be noisier than others. So far all of my discs I've burned are quiet. 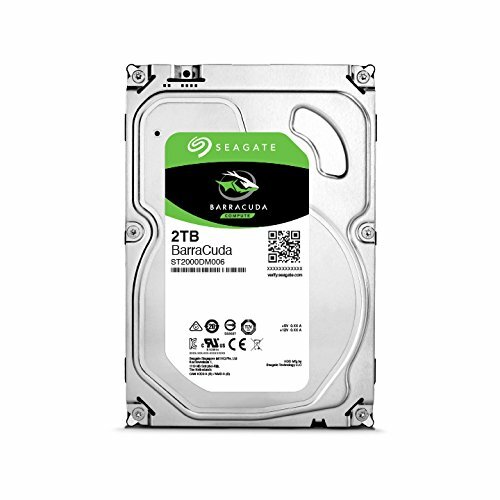 I would highly recommend this Optical drive due to its capabilities and low price. 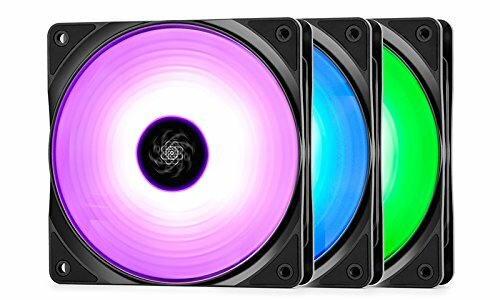 Pretty good RGB case fan. It is compatible with the Gigabyte X470 Aorus Gaming 5 motherboard and RGB Fusion. The RGB connector may be a little too fat. I had to shave off a small piece of the rubber just to make it fit into the motherboard's RGB header pins. One thing I noticed is that the fan's RGB Orange color is not actually Orange but quite yellow. There needs to be some kind of calibration of the RGB colors so that the Orange color matches the rest of the motherboard's orange color setting. I would recommend this pc case fan for it's low price and it is RGB. Would you say that if the budget was bigger, you would have gone for the gaming 7 wifi motherboard. Is this a good motherboard anyway? Yes, I would go for the Gaming 7. 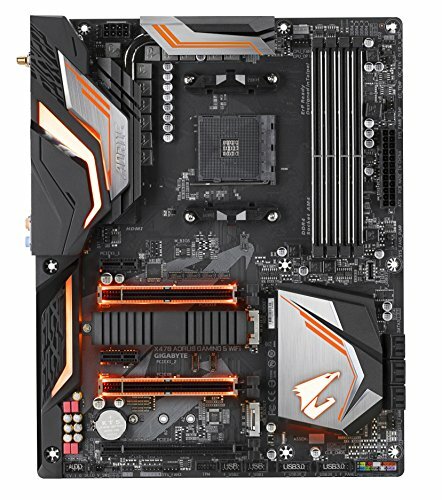 Gigabyte Aorus motherboards seem to be great motherboards. The most noticeable difference between the Gaming 7 and Gaming 5 is that the Gaming 7 has RGB on the RAM ports. I guess you can say I am after the RGB. so which discs did you use to get those pioneer statistics? Built for video editing, gets gaming motherboard. In all seriousness though, nice build. 32 gigs of ram!!!! !